Dec 22, 2018 in "Disney Junior Dance Party!" 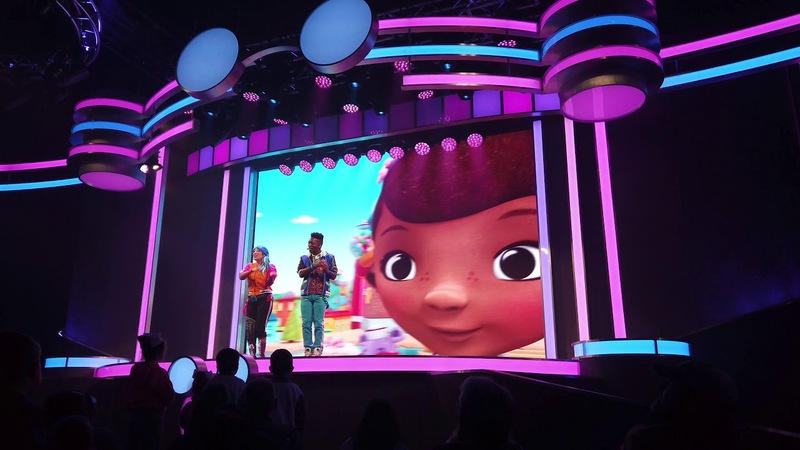 The new "Disney Junior Dance Party!" is now open at Disney's Hollywood Studios. The show for pre-schoolers can be found in the animation courtyard, taking over from the previous "Disney junior Live on Stage!" In the show, DJ Deejay and host Finn Fiesta invite everyone in for the party, creating an interactive atmosphere for kids to sing, dance and play along with favorite Disney Junior stars like Doc McStuffins, Timon from “The Lion Guard,” and Vampirina from the hit Disney Junior series, “Vampirina.” Mickey Mouse races in from “Mickey and the Roadster Racers,” just in time for the big finale. Check out the video below from today's opening day show. More from "Disney Junior Dance Party!"